We describe the first case report of using a REBOA catheter to augment cardiac afterload in a non-traumatic cardiac arrest patient. BOECKER, Felix; GORANTLA, Kalyan. Resuscitative Endovascular Balloon Occlusion of the Aorta To Augment Afterload in Non-Traumatic Cardiac Arrest. Journal of Endovascular Resuscitation and Trauma Management, [S.l. ], v. 2, n. 3, sep. 2018. ISSN 2002-7567. 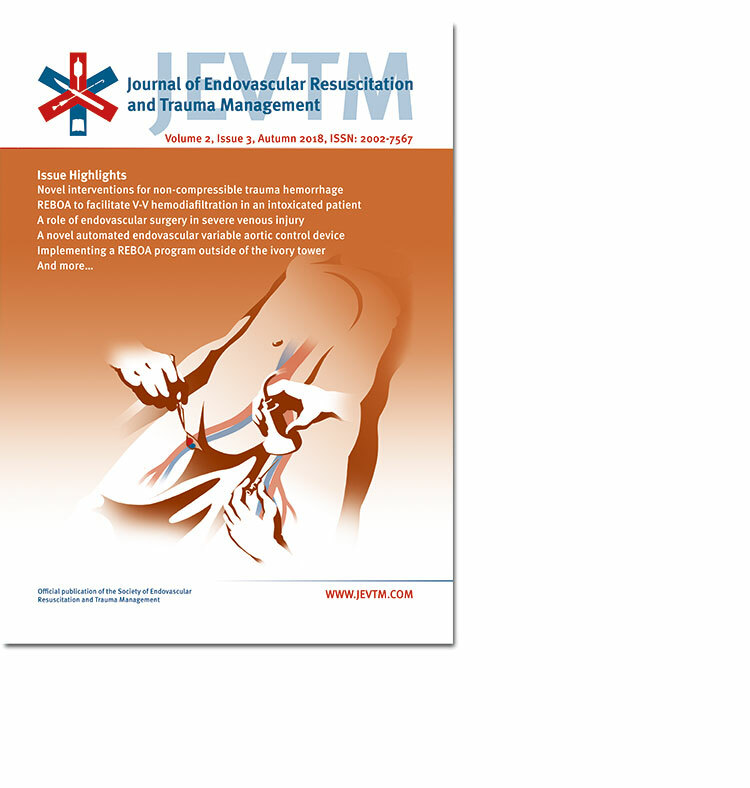 Available at: <http://www.jevtm.com/journal/index.php/jevtm/article/view/66>. Date accessed: 26 apr. 2019. doi: https://doi.org/10.26676/jevtm.v2i3.66.